As the whiff of patriotism gets thicker in the air, restaurant and food brands across the country has joined hands to promote the best deals at their outlets as the month of freedom gets high. Hotels and restaurant chains are strongly showering great discounts and deals on the food and beverages items on this Independence Day. Restaurants like Momo Cafe at Marriott Gurgaon, Zambar, Zamoza, FresCo, Lemon Leaf, Vedge, Noodle Play and online food sites like CyberChef are luring customers with great food options on the day. CyberChef, the Gurgaon based virtual marketplace for home-cooked meals, will allow its patrons to avail any of their favourite mouth-watering and sumptuous cuisines listed on the website throughout the day in just Rs 199. MoMo Cafe, the popular all day dining destination at Courtyard by Marriott, Gurgaon has come up with a special Independence Day brunch. The brunch menu is designed to evoke the patriotic spirit with its authentic Indian flavours and presentation.Priced at Rs 1650+taxes, the brunch offers a maharaja’s meal. 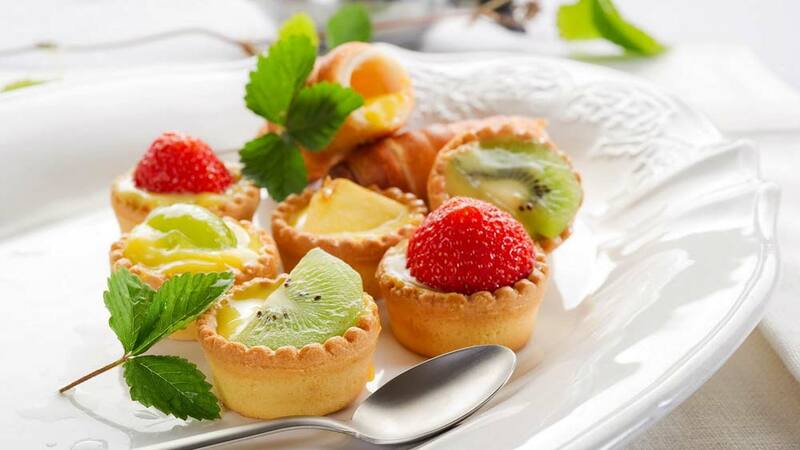 Zambar offers buffet spread along with 20 per cent discount for all Defence personnel. Whereas, Lemon Leaf is something more than that celebrating the fest in India rather celebrating the joy of freedom across Asia by treating yourself to a delicious array of Pan Asian delights! From curries, phos, baos and the likes enjoy all these Asian treats and more. Meanwhile, Noodle Play gives a bang for your buck by introducing a special menu this Independence Day with meal box priced at Rs 69. And to get high in the spirit, even the bars and pubs are not behind when it comes to offers the best to the customers, b-Bar is introducing a week-long special menu to celebrate India’s 69th Independence Day. Taking forward the spirit of unity, the menu boasts of five courses that have been perfectly combined to create a very special meal. b-Bar has crafted this special menu to mark India’s Independence in 1947. In keeping with the spirit of the event, this special 5-course meal that will include perfectly paired soups, sushi, appetizers, main course, dessert and beverage is priced at Rs.1947 + taxes. And, Costa Coffee, India’s first international coffee chain will be decked in tri-colors and coffee will be served with ‘69’ stencilled on it. Costa Coffee will offer its complete range of beverages (small size) at Rs.69 between 6 and 9 p.m. to signify the occasion. This offer will be valid on purchase of any sandwich at Costa. Costa Coffee invites guests to experience its legendary service and hospitality, taking forward its tradition of delighting its consumers with this new special offer. Coffee Day Enterprises gets Sebi nod for Rs 1,150 ..
Making the QSR Space More Swift & Quick..
Be A Successful Franchise Business Via Marketing..